I was in Singapore for roughly 4.5 days. In such a short time, I was able to go around and have coffee in different places, thanks to people who indulged my caffeine addiction coz I was able to visit a coffee shop every single day, sometimes even 2 to 3 cafes. Let's start from the beginning which is of course Starbucks. I know that there is a Starbucks here in the Philippines but every Starbucks in every country has something a little different which is why it is almost always the first coffee shop I visit. 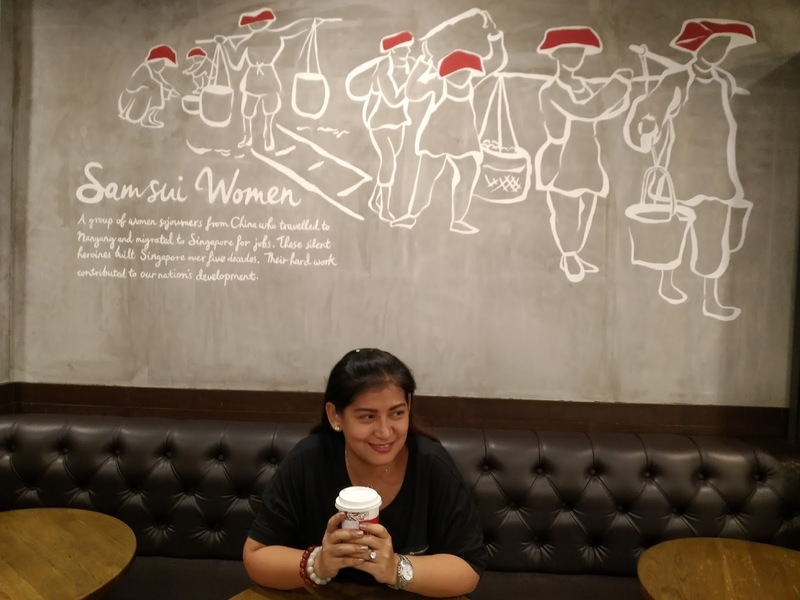 As you can see, they have the Samsui women on their walls and it tells the story of these strong women and how they helped made Singapore the way it is now. 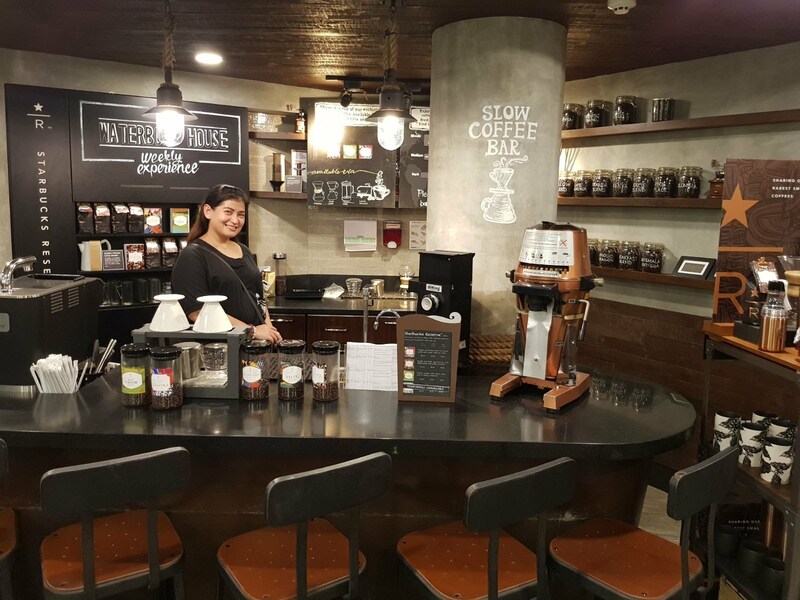 They also have an open space where you can readily pose and pretend to be a barista. Next on my list is The Coffee Academics and their famous Coffee in a Cone. 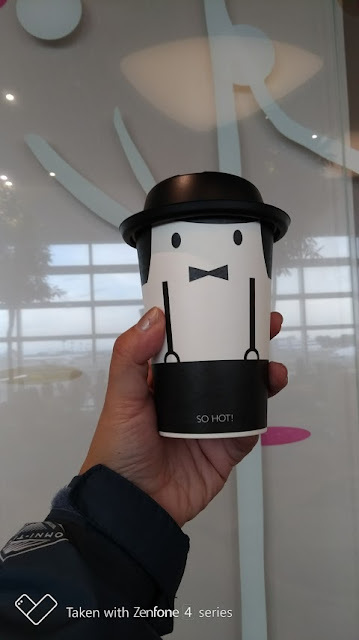 Initially, I worried about taking a photos with such a fragile looking coffee holder but much to my surprise, it was actually pretty sturdy. I think it's because of the thick chocolate coating found inside the cone. This Cafe Latte was actually pretty good and the rich chocolate coating around the cone added more flavor to it. I would definitely recommend giving this a try if you are in Singapore. Other choices are the Black Cinnamon Latte and the Cafe Mocha. 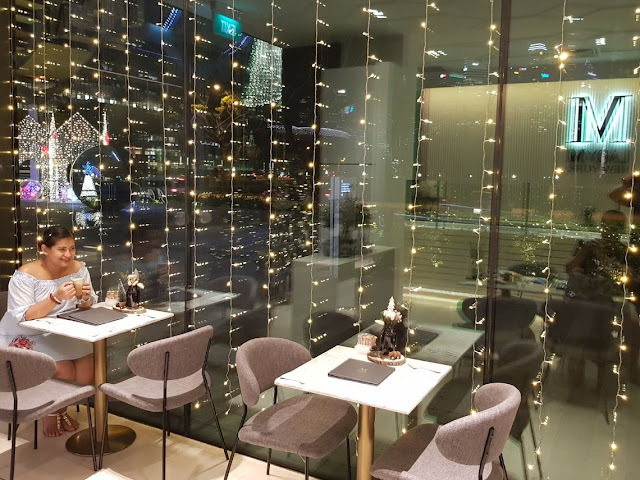 The third coffee shop I was able to visit is called Lady M. It seems Lady M has brances all over Singapore and they are all very distinct coz it looks fancy AF. I totally fell in love with the place coz it just looked so nice. 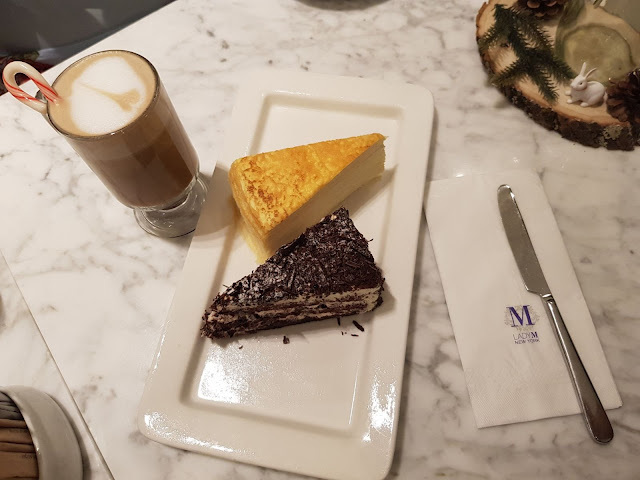 I tried the Peppermint Mocha as well as two of their best selling cakes, specifically Black Forest which was amazingly good and the Mille Crepe which was layered to perfection. 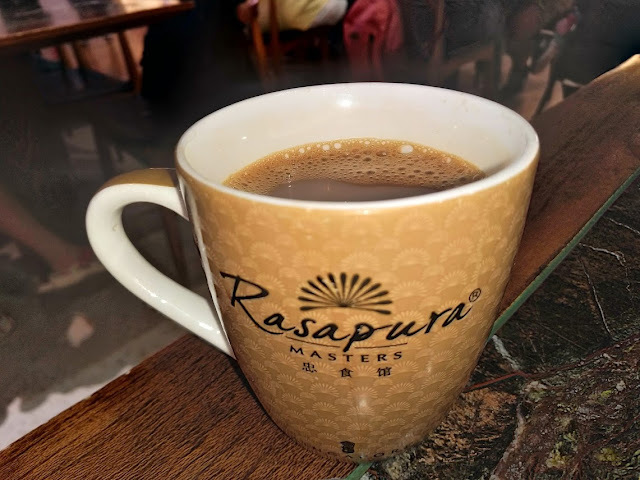 I was also able to try out Rasapura Masters which is a fancy food court inside Marina Bay Sands. 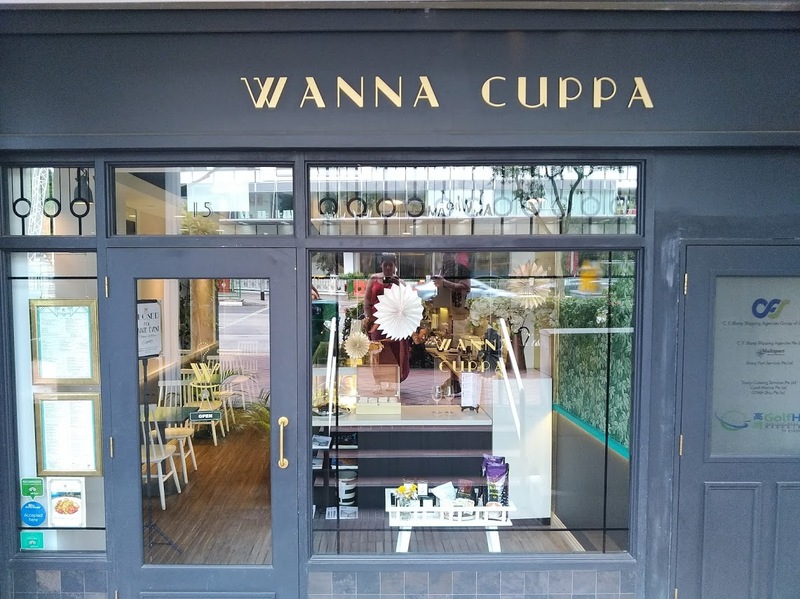 Their coffee though is just standard for me. It was nothing bad but nothing impressive at the same time. Another coffee place for those who may be on a budget is IKEA. Yes, you read that right. 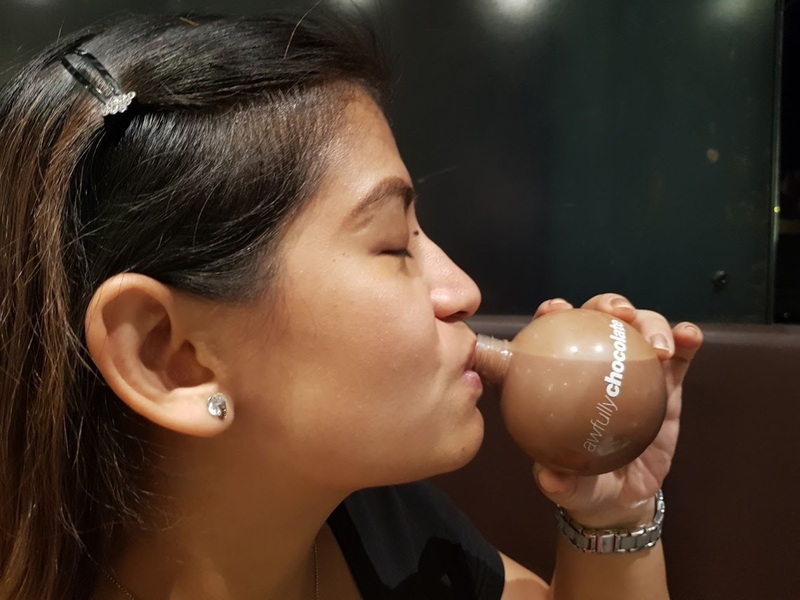 IKEA serves coffee for only 0.50SGD and best thing is it is refillable! 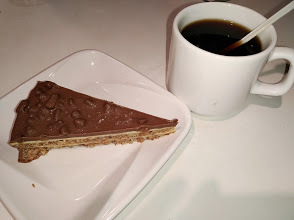 The chocolate cake is also a must since it's crunchy and really taste well. Awfully Chocolate is also a must visit if ony for the cute container of their chocolate drink. Its really good and for them, this is their version of chocolate. I was also able to try out Wanna Cuppa. The reason I even tried it out was because the exterior was just so pretty! 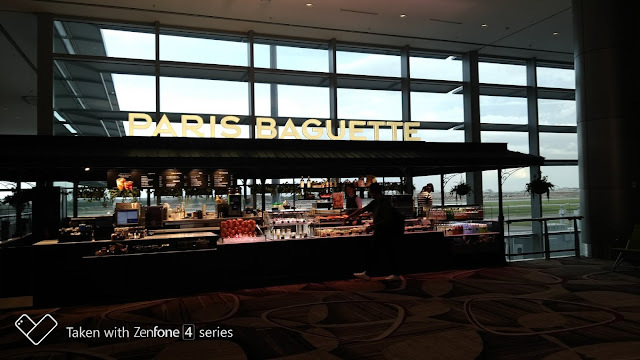 As you can see, the place makes you feel like you just stepped inside a really chic cafe in Paris. 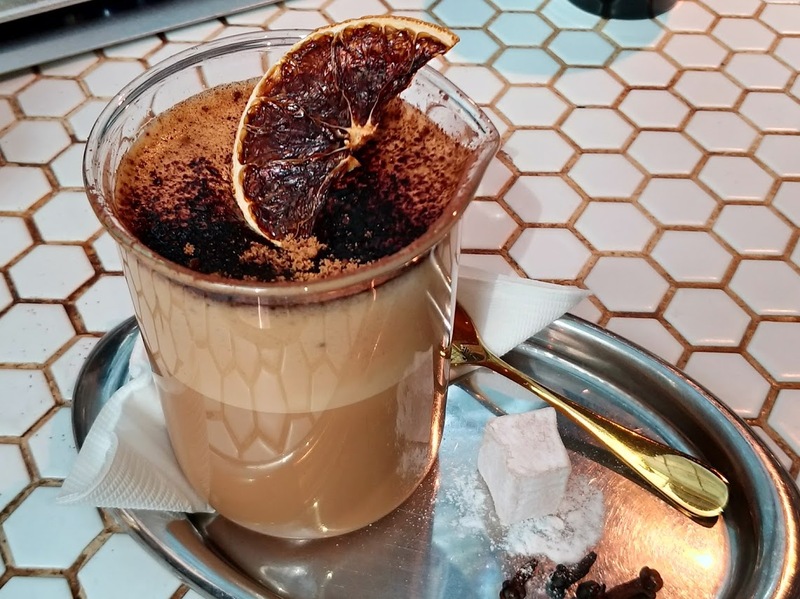 I tried out the Chai Coffee Latte and it was definitely unique. 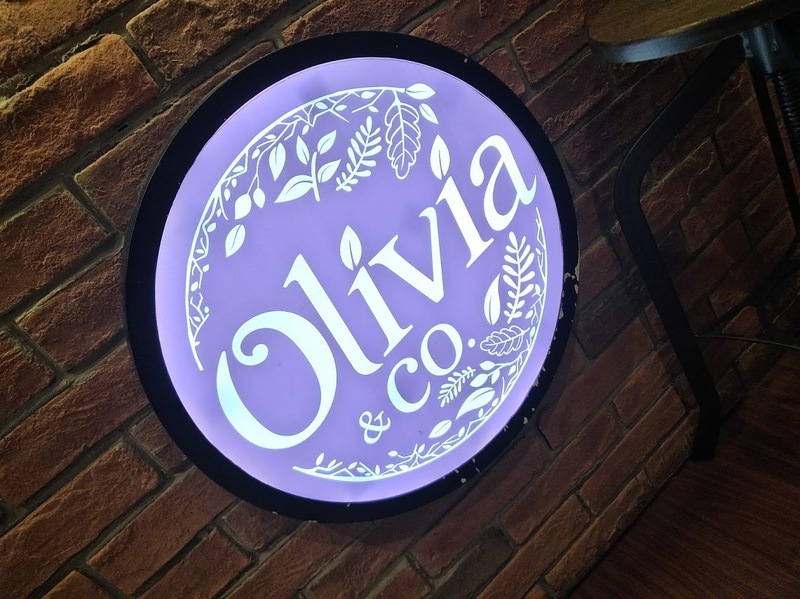 2nd to the last coffee shop was Olivia and Co. where I tried out the Cafe Mocha. This one is a little on the dark side so if you like your coffee strong, you would love this. And the last coffee shop that I was able to try is Paris Baguette which is located inside the airport. I loved that their Cafe Latte costs only 4SGD. Most of the coffee I tried costs around 7 - 12SGD. 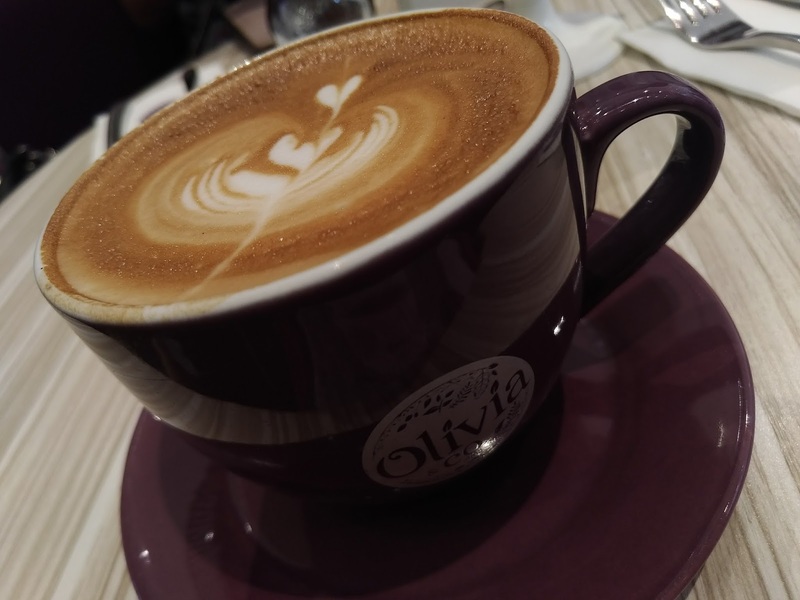 Overall, I tried out 9 coffee shops and I have not even made a single dent in the coffee industry of Singapore. 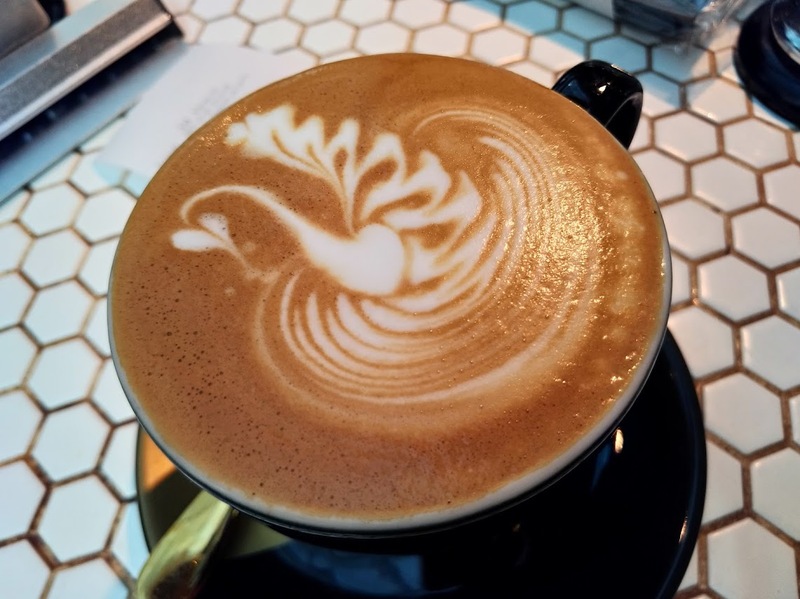 They have so many third wave coffee shop that I would need to live in Singapore for a month to be able to try out 50% of their cafes. All I can say is, the coffee lover in me is very happy.